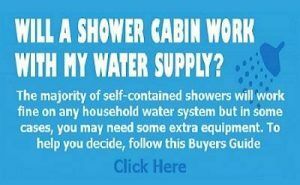 When it comes to deciding which particular model of shower cabin is best for you, there are a great many factors you’ll need to consider such as size, shape, price and of course, features. While most shower cabins and enclosures you’ll find nowadays are quite similar in terms of the actual shower itself, where many of them differ is in terms of the additional features they offer. You can now find models that include radios, mood lighting, touch screen controls, mp3 or USB connections and a variety of other high tech gadgets and features. Still, if you’re looking for something truly special that gives you a ton of opportunities for entertainment while enjoying your shower (or relaxing in your combination steam shower, whirlpool shower or even all three), you definitely should consider looking for one of the newer models that include Bluetooth connectivity. More and more shower manufacturers are starting to offer Bluetooth enabled shower cabins as an option on at least a few of their models, and not necessarily only on the high end products. 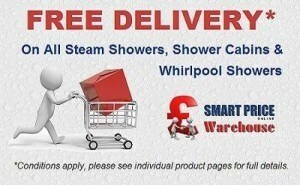 In fact, nearly 20-30% of the steam showers we offer now come standard with this feature. This means that if you happen to own a smartphone, tablet or other device that’s Bluetooth enabled (and to be honest, who doesn’t nowadays? ), then you’ll be able to instantly connect your device to your shower thus allowing you to listen to whatever you desire through the shower’s built-in speakers. 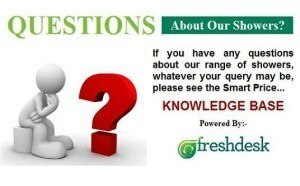 Think about it, imagine being able to listen to your favourite music or audio books while taking your morning shower. Of course, you could also do this with any model with an mp3 connection, but having Bluetooth means you can also stream anything you want online from your device, allowing you to listen to the news or whatever else your heart desires. So, if you’re interested in a shower cabin that features Bluetooth, here are just a few of the many models we offer that include it. Insignia, one of the most trusted names in the shower business, offers several different shower cabins and steam showers with Bluetooth connectivity, but one of the best surely must be the GT5000 1200x800mm elongated steam shower cabin. Along with Bluetooth and a whole host of other outstanding features such as the touchscreen control panel and thermostatic mixer valve, another thing that sets this model apart is the fact that you have not one or two, but three separate choices for the colour of the interior walls—white, black and a cool mirrored finish. Not only that, but its size and shape should allow it to fit in almost any bathroom, while still providing more than enough interior room to keep you from feeling too crowded or squeezed in. Plus, with Insignia’s famous one minute fast start steam generator, you can be enjoying a relaxing soak in your own private steam room while listening to whatever you could possibly want via Bluetooth. Alto is another one of our favourite brands that is keeping with the times by offering Bluetooth capabilities in all of their exceptional line of corner quadrant steam showers. All three of these models are exactly the same except for the size, with the model numbers corresponding to the dimensions (i.e., 80=800mm x 800mm, 90=900mm and 95=950mm). With the Alto models, you have the choice between Polar White or Carbon Black, both of which are sure to look amazing in any setting. Not only that, but you also get energy efficient LED lighting and a classy looking control panel so you can adjust the sound and lighting while enjoying either the shower or steam functions. All in all an outstanding choice that both looks stylish and is definitely built to last. If you’re looking for a Bluetooth enabled shower that truly offers it all, there is likely no better choice than the Alto ST . This 1350mm x 1350mm corner cabin not only offers the steam function like the models listed above, but it tops it all off by including a whirlpool tub as well. This means that you can listen to whatever you want while relaxing in the whirlpool bath, steam or just during your morning shower. 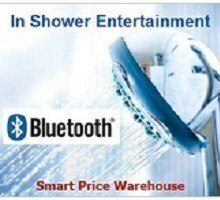 It includes all of the other high tech functions and accessories you could want and is definitely the top of the line Bluetooth enabled shower model you’ll find, giving you a ton of options for a great price.